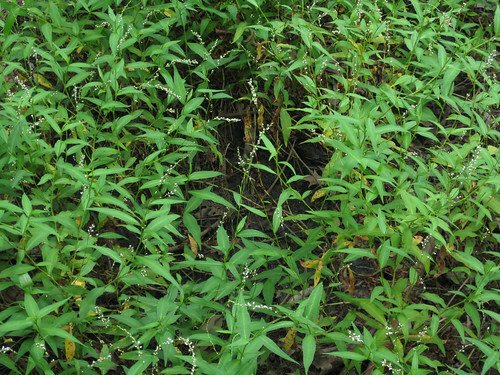 Scientific name: Polygonum persicaria, Polygonum hydropiper, Polygonum spp. 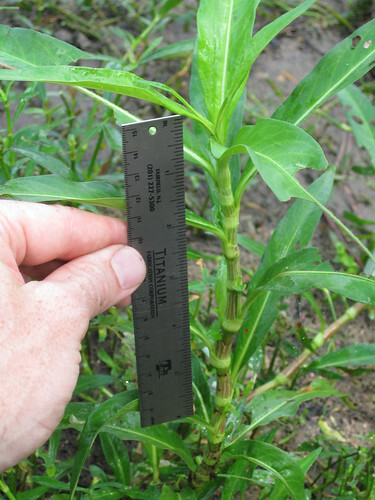 The leaves of smartweeds alternate and the base of the leaves wrap around the stem. 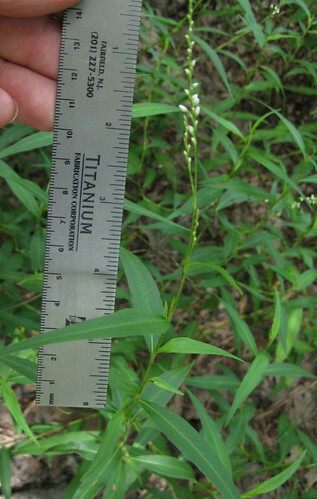 Another type of smartweed with white flowers. 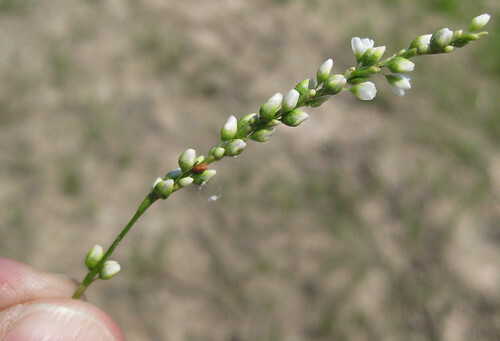 Close-up of smartweed flower stalk. 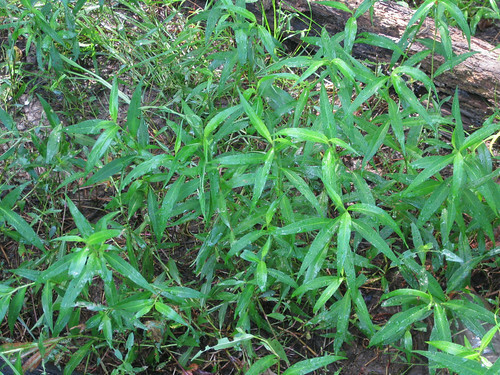 Found in thick clusters along river, stream, ponds and other moist areas, Smart weeds are a common sight throughout spring, summer, and fall. There unique flower stalks with tiny white flowers make them easy to spot even from a distance. 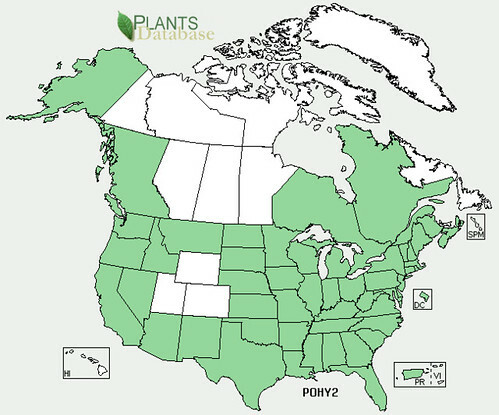 They are related to Lady's Thumb (Polygonum persicaria) which is found in similar setting but has pink flowers. Smartweeds are have a very hot peppery flavor and it only takes a few to spice up a dish. However, the flavor isn't released immediately but shows up after a little chewing. The flavor doesn't withstand cooking very well and is better used as a seasoning added just before eating.